When was the last time you did something for the first time? Time and again, I ask myself, especially during this time of the year, if I venture out of my comfort zone often enough. Sometimes we think we are adventurous, when we are just adventurous within the confines of what we know and what we are familiar with. I admire people who really get out there. People who brave their own limits. People who are uncomfortable when they get too comfortable. This week I met someone who literally went to the end of his world and back. He documented his journey in a film. 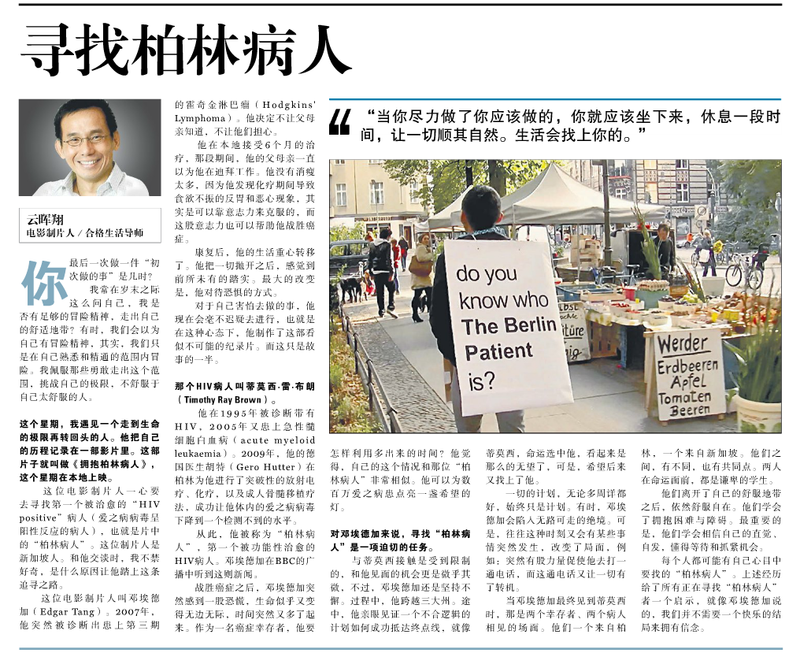 It is called ‘I Hugged The Berlin Patient’ which premieres this week in Singapore. 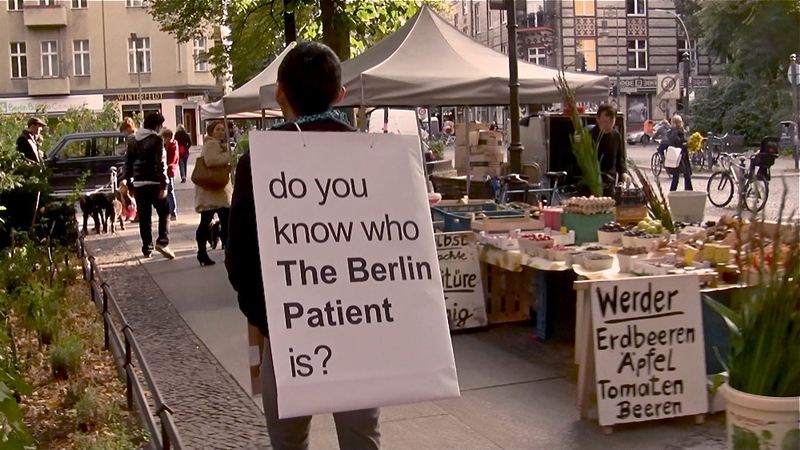 It is about a filmmaker’s quest to find the first person who was cured of HIV, referred to as the Berlin Patient. The filmmaker is a Singaporean. As he was talking to me, I wondered what made him take on such a journey. The story, to me, is in finding the push, or rather the pull factor. 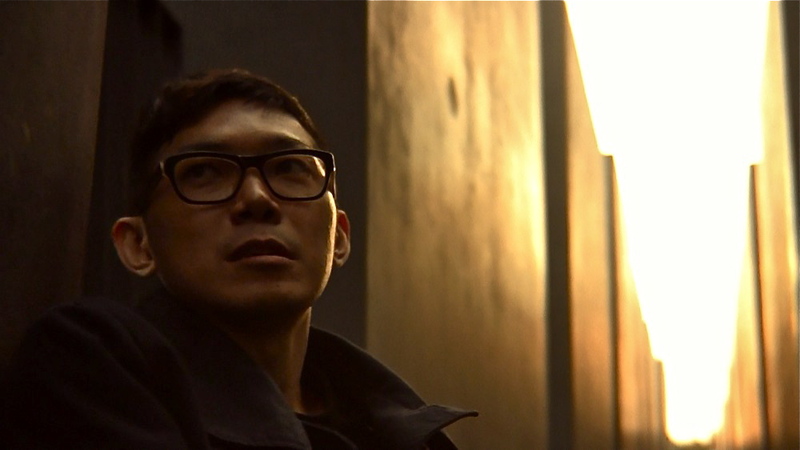 The filmmaker is Edgar Tang. In 2007, he was suddenly diagnosed with Stage III Hodgkins’ Lymphoma. He made a decision not to let his parents know so they would not worry. During his six months of treatment in Singapore, his parents thought he was still working in Dubai. He did not lose as much weight because he found out the nausea caused by the chemotherapy that suppressed appetite could actually be tricked by the might of the mind. It is this might that would helped him defeat his cancer into remission. After he recovered, the pillars in his life shifted. Everything was thrown up in the air. Nothing was as grounded as before. The biggest change however was how he saw fear. Whatever he was afraid to do, he would proceed to do it. This probably holds the clue to why and how the documentary, which seemed highly improbable, happened. But I would soon discover, this is still only half the story. 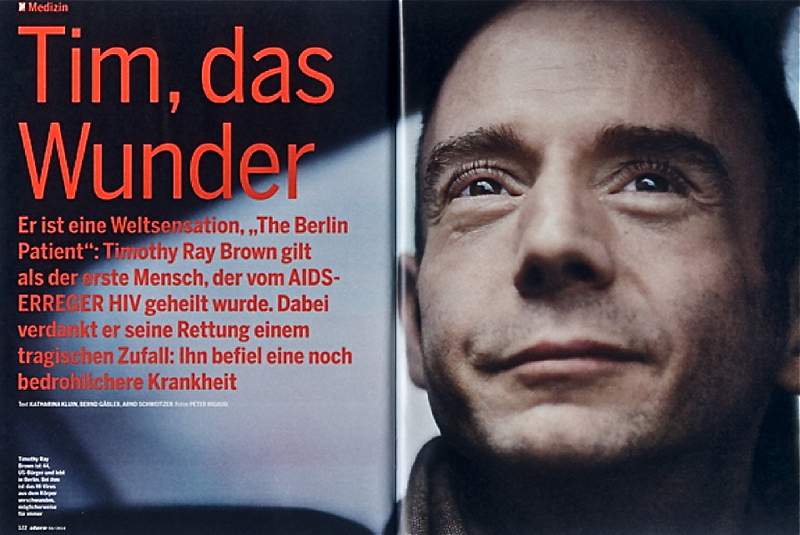 The Patient is Timothy Ray Brown, who was diagnosed with HIV in 1995, and with acute myeloid leukaemia in 2005. In 2009, his doctor Gero Hutter used a revolutionary radiation, chemotherapy and adult stem-cell treatment on Timothy in Berlin which caused his HIV virus to drop to undetectable levels. He became known as the Berlin Patient, the first man functionally cured of HIV. Edgar heard this piece of news on the BBC. It stirred something in him. When he was given a clean bill of health from cancer on the fourth year of his recovery, he suddenly felt a strange fear. Suddenly, his life was open-ended again, there was so much time left. As a cancer survivor, what was he going to do with his time? This was when he saw in the Berlin Patient a parallel. What was it like to be the chosen one? The one who could be a beacon of hope for millions of people with HIV. This entry was posted in About the Arts, Day to day. Bookmark the permalink.